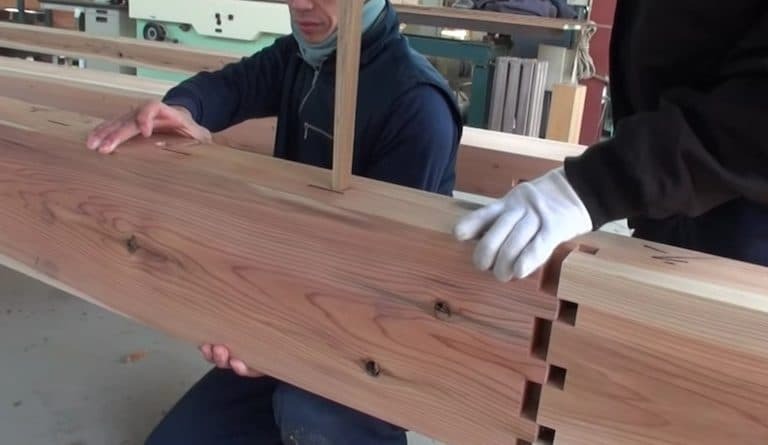 Before there were complex wood glues and screws, Japanese craftsmen used a series of interlocking joints to connect wood for structures and beams. There are many methods of interlocking joints in woodworking today, but in general, they all require some form of additional attachment. 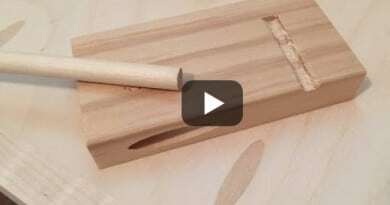 Wood glue is traditionally used to create laminar beams and other connections, but with a perfect system of joints, nothing else is needed. 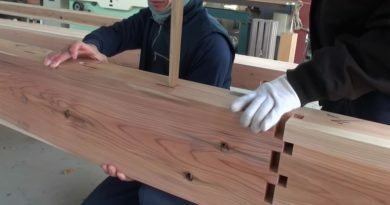 Check out the video below to see how these Japanese craftsmen connect beams. 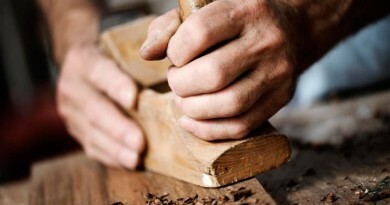 The system of interlocking joints is engaged using a wedge which is hammered into open slots left in the wood by design. This method does require quite a bit of detailed woodworking, but when glues or screws are not an option, these joints are perfect. Not to mention, joining wood in this manner places congruent strain on the beam, and it does not create potential failure shear planes that can be present with other glue joining techniques. Joining beams like this would have been the traditional method used in all Chinese & Japanese architecture at the time. This would have allowed them to create larger spans across roofs as create taller structures without the need for additional supports. Building techniques have evolved quite a bit thanks to the modern industrial revolution, but there are still groups out their perpetuation the beautiful old methods of construction.